Are you ready for the new album from the Wooden Sky? We sure hope so, since said LP is called Let's Be Ready. Before it drops on Chelsea Records, it's available to stream early on Exclaim.ca. 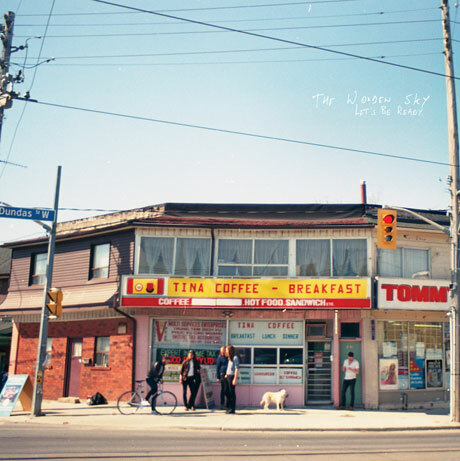 This record is the first one the band have recorded in their Toronto hometown in six years. Some of it was made in frontman Gavin Gardiner's own garage studio, while the rest was made at various studios around the city. Production was handled by Chris Stringer. "In order to do that we made some pretty detailed demos in our studio and then went out and played the songs live," Gardiner told Exclaim! regarding the album's freewheeling sound. "Quickly things that weren't important fell by the wayside and we came back with something much leaner, meaner and raw." Sure enough, tunes like "Saturday Night" and "Maybe It's No Secret" are distorted and hard-hitting. There are also lots of mellow numbers, including graceful country rockers like "Our Hearts Were Young" and "Don't You Worry About a Thing," the barebones acoustic title track, and the atmospheric combo of "Kansas City" and "Write Them Down." Scroll past the band's tour schedule to hear Let's Be Ready below.